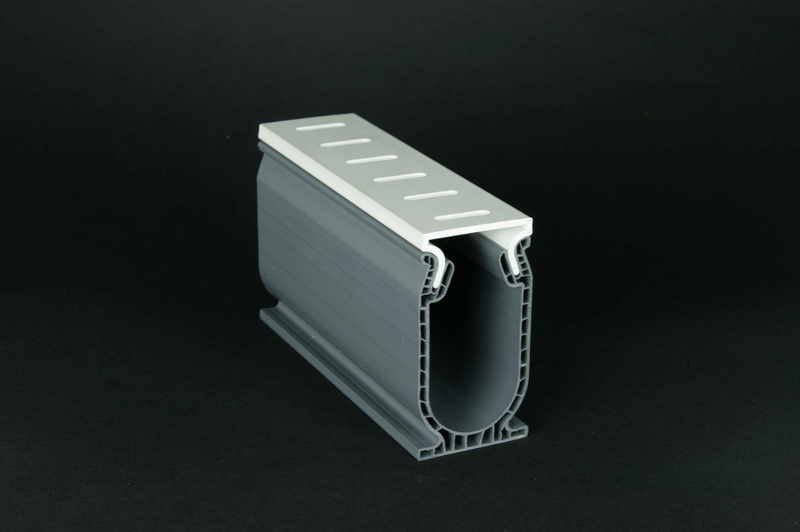 The Frontier Deck Drain is a removable top drain that features a double wall base with a snap in top (PVC) for easy cleaning. The Stegmeier Frontier Deck Drain is a removable top drain that features a double wall base and a snap in top. 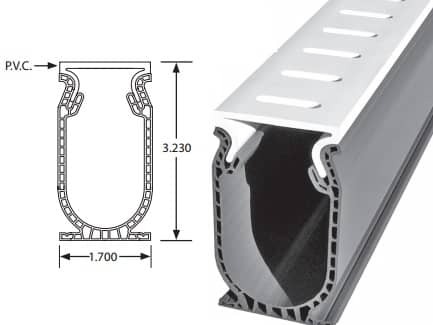 When installing this drain, the tops are staggered past the joints making the joints very rigid. Because the tops are removable, this drain is easy to clean and the tops can be replaced if ever damaged. 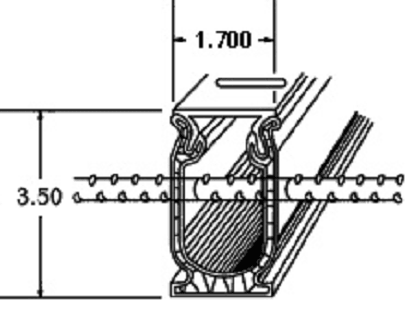 It is recommended that you drill and pin (3/8″ rebar) the base at 3 foot intervals to stabilize against any movement in the concrete slab.